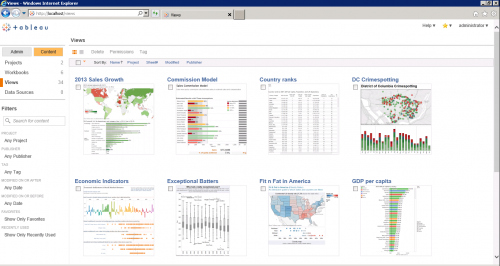 Tableau is a top leader in the business intelligence space offering state of the art data visualization techniques and dashboard development for insightful visual analytics. 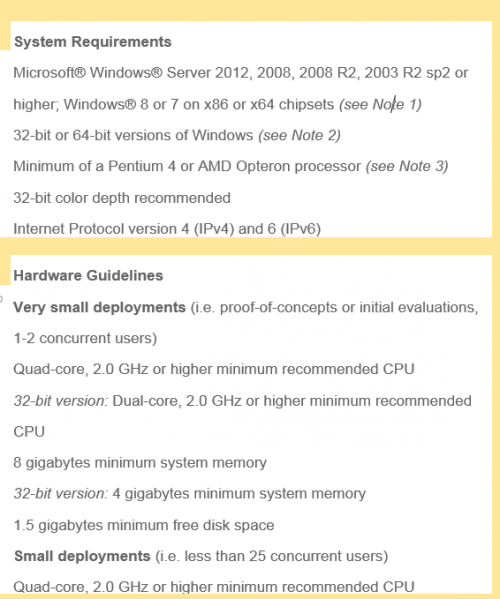 The current tableau product offerings: Tableau Desktop, Tableau Server, Tableau Reader, and Tableau Online. 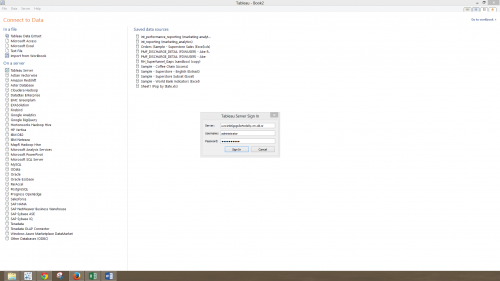 And in this post i’m going to show you how to create a Tableau development environment in CloudShare to start any Tableau project. 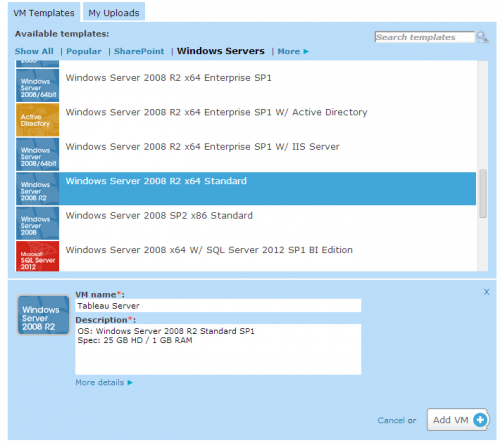 The CloudShare virtualization platform makes it easy to set-up, install, and test a Tableau implementation. CloudShare’s flexible approach in creating virtual environments provides an efficient and cost effective platform to start a big data project , and test tableau implementation and reporting functionality. 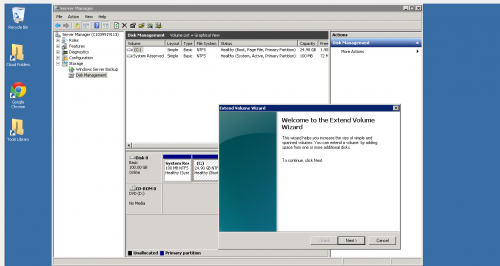 This blog will cover the various aspects of installing, configuring, and implementing successfully in a CloudShare environment. 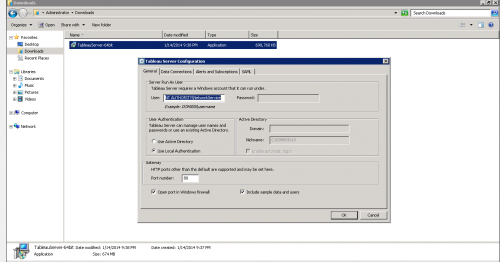 Configuring Active Directory in CloudShare environment and setting up with Tableau Server to enable users in your CloudShare environment have appropriate access. Once the VM is added we need to configure it with the appropriate amount of hard disk space and RAM by going to edit environment in our CloudShare environment home screen. 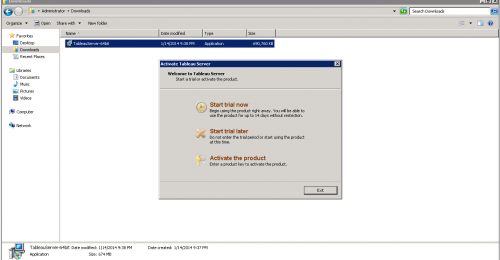 *Note that Tableau Software provides a free two-week evaluation of their software products. Once the file is downloaded we can navigate to the folder where it is saved and proceed to start the installation. 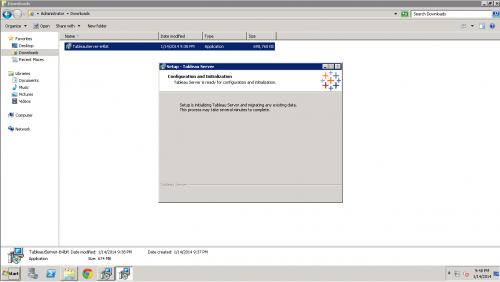 Select the ‘Start Trial Now’ to continue the Tableau Server installation. For now we will choose to keep ‘Local Authentication’ as our User Authentication. 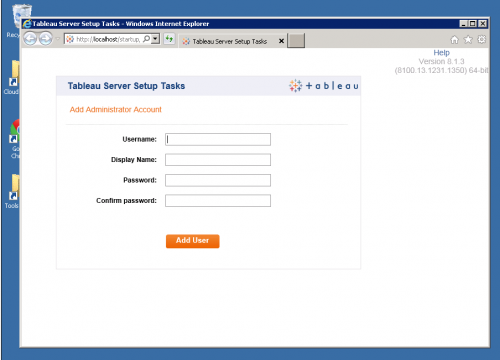 Tableau can be configured with Active Directory as well. 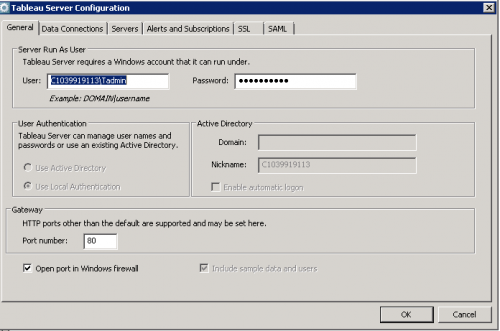 Using CloudShare’s pre-configured Active Directory template and CloudShares environments built in Active Directory support can be successfully be integrated with the Tableau Server. 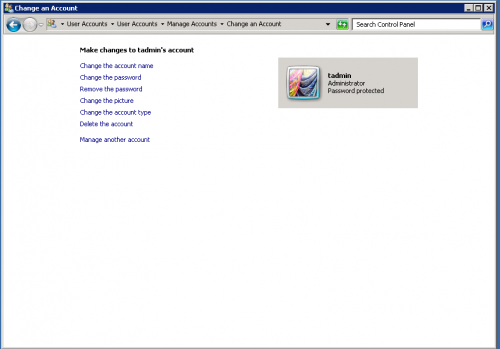 From a Browser: Just type in the External Address into the browser and log in with your created account. Once you have built out your environment make sure you take a snapshot so you can protect your work, and copy it over and over again for other projects. 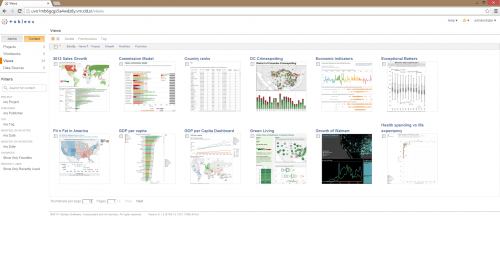 No matter if you are new to Tableau or need a place to start your project. You now have an excellent location to do all of your work. You can easily share with your users. Test new functionality without concern of breaking things.